A 2-minute walk from the Sanctuary of Our Lady of Fátima, this hotel’s modern architecture lets in lots of daylight. It features spacious rooms and artworks by Portuguese artists. Santa Maria’s restaurant lays nestled in the hotel’s green garden. It offers regional Portuguese cuisine as well as various international dishes. There is a bar for drinks. Guest rooms include air conditioning, minibars and bathroom amenities. The rooms have free Wi-Fi and soft, carpeted floors. Santa Maria hotel also features a meditation room and hotel chapel. There is a terrace on the 4th floor with views of the sanctuary. 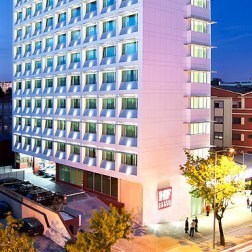 The hotel is located in the centre of Porto, near Avenida da Boavista, within a business centre and a renowned shopping area. Benefit from the strategic central location and rent one of the bicycles we have available. 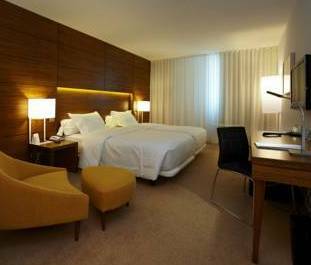 Guestrooms rooms are spacious and bright and include cable TV, Sports TV, air conditioning, doubled glazed windows, mini bar and a pleasant working area. 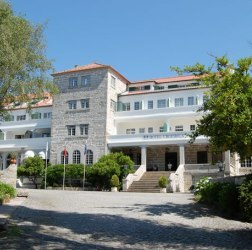 Featuring regional Beira architecture, granite facade & traditional English style decoration, this elegant yet relaxed hotel is one of the best in the country. Its privileged location is ideal to explore the Beira Alta region, the nearby town of Viseu & Estrela Mountains. Guestrooms feature all modern conveniences.